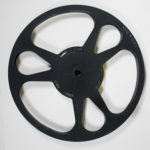 Film Reels are what Goldberg Brothers does best. 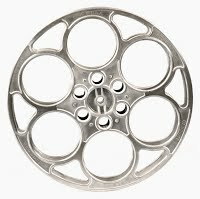 We offer a wide range of reels that meet or exceed motion picture industry precision standards, in sizes ranging from 8mm to 105mm. For full details on options and specifications, contact a Goldberg Brothers Movie Theater supplies authorized distributor near you. 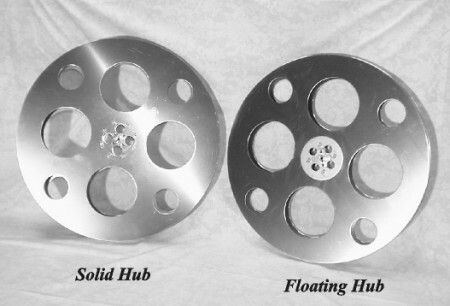 Our sheet aluminum reels are hand-crafted in solid and floating hub styles. 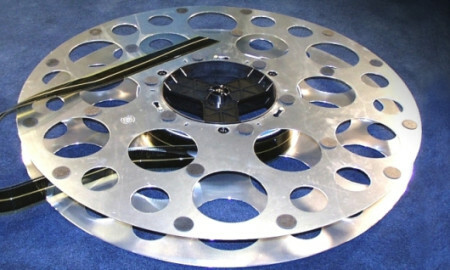 The floating hub style allows the hub and flanges to rotate at different speeds during projector start-up and rewind to help prevent film damage. Our sheet aluminum reels are available in standard 16mm, 35mm and 70mm widths with hub diameters ranging from 5 to 15 inches. 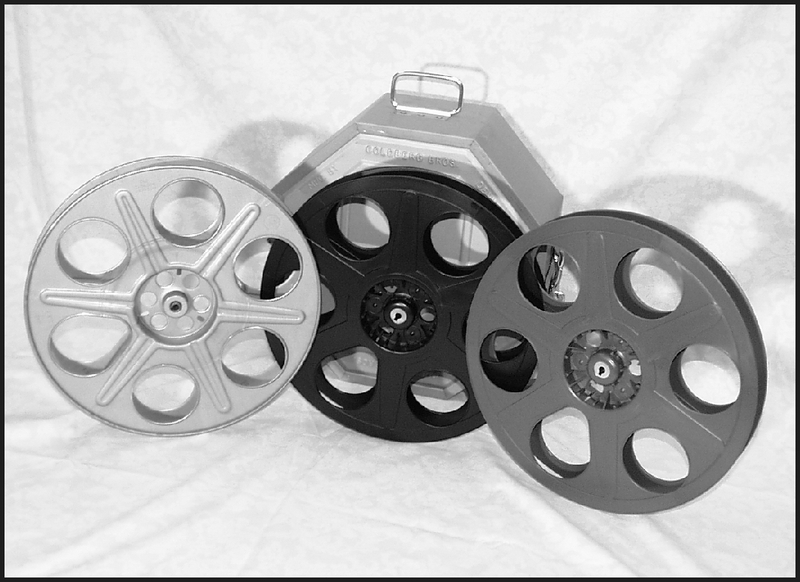 Each reel is furnished with either a 5/16″ or half-inch spindle hole in an aluminum core. We can make reels with other special diameters and core sizes on request. We also offer repair work and field repair kits to extend the working life and return-on-investment of these top-quality reels. Our aluminum split reels are recognized as the finest in the industry. 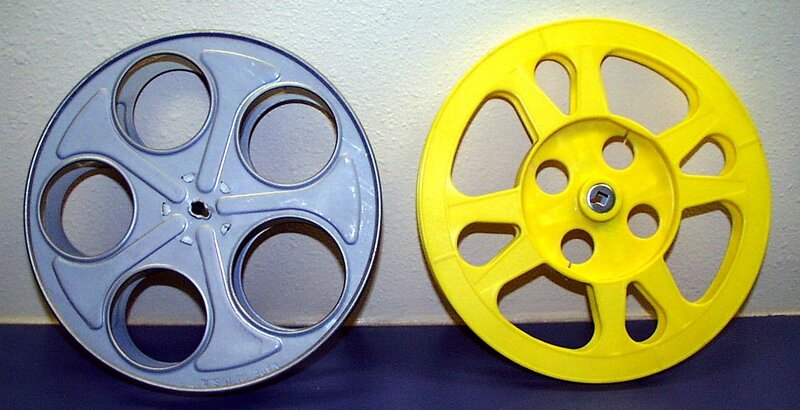 We make standard sizes ranging from 8mm through 105mm film widths and 7″ through 26″ diameters. We can make custom sizes upon request. Our industry workhorse 35mm cast aluminum house reel is built with a 15″ diameter flange and a 5″ diameter hub with either a 5/16″ or half-inch spindle hole. Each reel can handle 2000 feet of film and is sure to provide many years of reliable service. 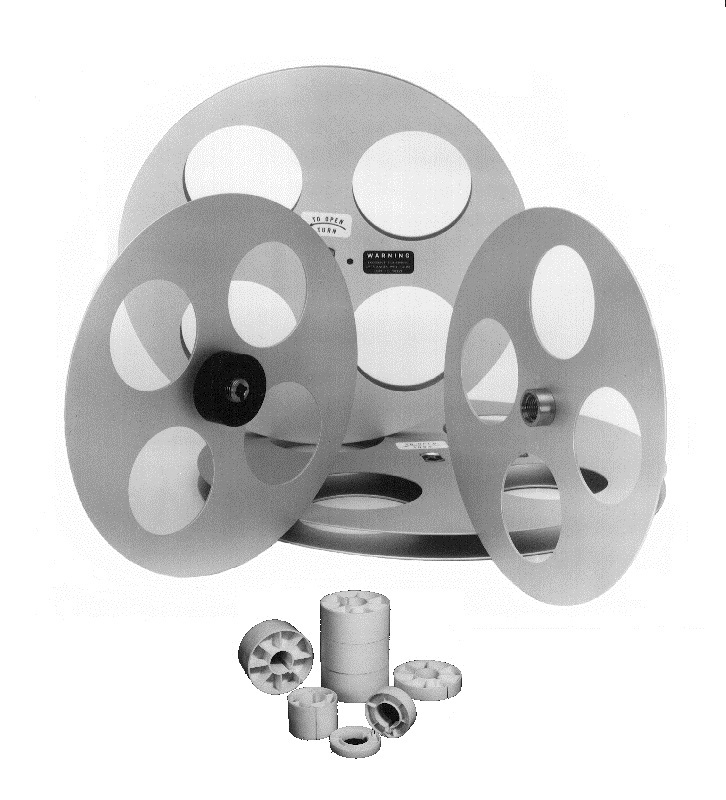 Our stamped steel film reels are available in a wide range of sizes for 8mm, 16mm and 35mm film storage and projection. 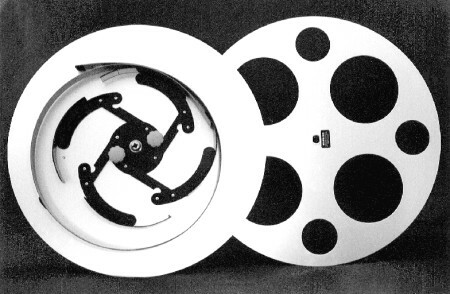 Our innovative 35mm and 70mm Modular Platter Reels allow you to move an entire assembled film print from one projector platter to another with ease. 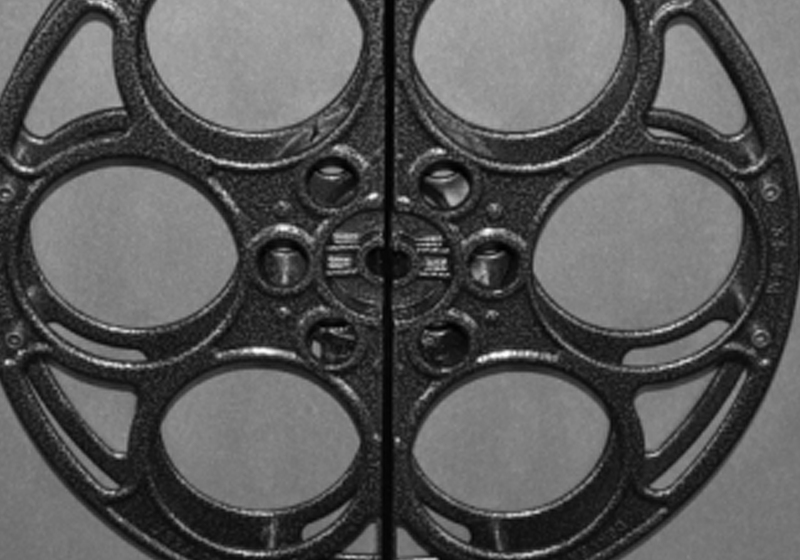 You can even remove the trailers from the head of the reel without having to rewind the entire film.